Born in Hungary in 1880, Miklos Suba immigrated to the United States at the age of forty-four and settled in Brooklyn. The vitality of New York City precipitated a shift in his style and subject matter from pastoral Hungarian landscapes to hard-edged industrial scenes. The modern forms of America's buildings and bridges became Suba's preferred subjects and he painted them in such a way that both celebrated their local character and emphasised their formal structure. As a young man, Suba studied architecture, and it is likely that his experience as an architect predisposed him to the Precisionist aesthetic, which is characterised by sharply delineated, simplified images marked by meticulous brushwork. 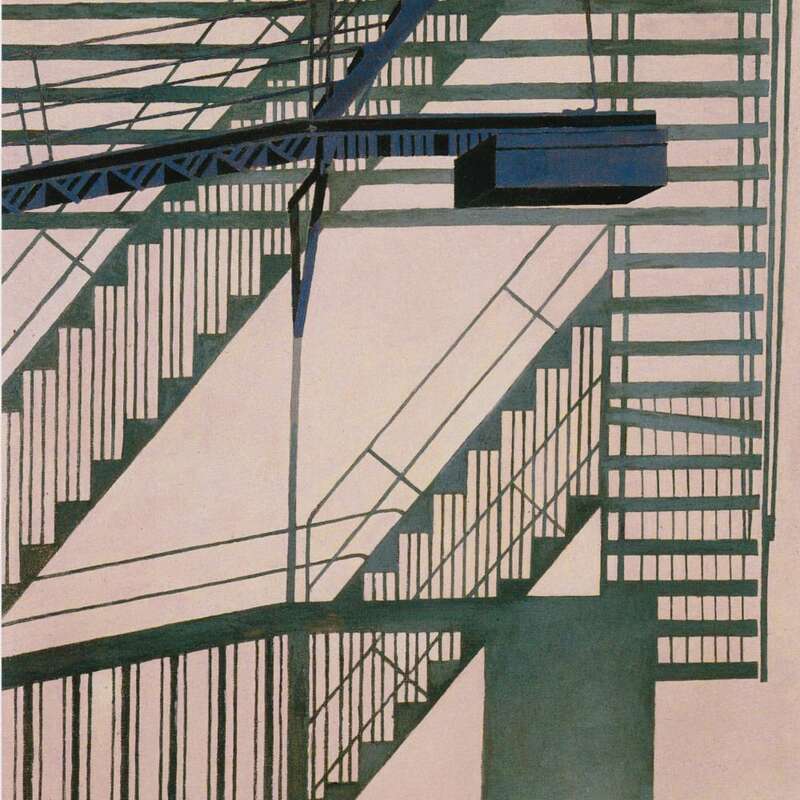 Similar to the other Precisionists such as Charles Demuth, Suba gravitates towards industrial subject matter. However, Suba's interpretation of Precisionism was quite distinct due to the fact that he was separated from his New York counterparts by language and limited finances as well as his concern for the personal and the anecdotal.